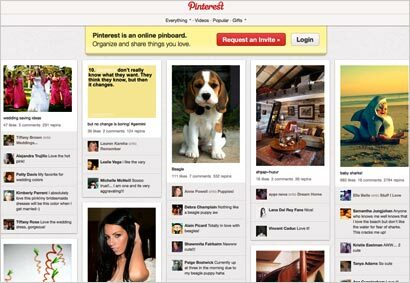 Marketers may soon add Pinterest into their attribution strategy. Studies have demonstrated the social site's ability to generate leads. Now a recent study suggests it prompts consumers to make purchases. Some 21% of respondents to a recent survey with a Pinterest account have purchased a product after seeing a picture on the site. The PriceGrabber survey of 4,851 U.S. online consumers conducted between March 13 and 26 reveals that respondents who purchased a product based on seeing it strictly on Pinterest were asked to select all items purchased: 33% said food and cooking; 32%, fashion and clothing; 30%, home decorating; and 26%, crafts. Some 37% of Pinterest account holders log in a few times weekly and most have created between two and five Pinboards; 28% said they log in a few times a month; 15%, once daily; 10%, a few times a year; and another 10%, numerous times a day. When Pinterest account holders were asked how many Pinboards they have created, 29% said between two and five; 26%, between six and 10; 19%, none; 16%, one; and 10%, more than 10. Searching for recipes remains the favorite interest. Some 70% of Pinterest account holders cite cooking and recipes as the top item pinned. When respondents with a Pinterest account were asked to select all of the types of items they pin, 70% cited cooking inspiration and recipes; 65%, home decorating; 53%, craft ideas; 41%, fashion and shopping ideas; 34%, entertaining ideas; and 33%, gardening. Even with all this action and multiple surveys chronicling success on Pinterest, there's still a lot of room for growth. Some 58% of consumers do not have a Pinterest account. Some 32% said they are not familiar with Pinterest. Of the respondents who do not have an account, 89% do not plan to sign up for one. Facebook and Twitter remain more popular than Pinterest. Of the survey respondents with a Pinterest account, 98% said they also have a Facebook and/or Twitter account. Of those respondents with a Facebook and/or Twitter account, 77% said they do not log in to Pinterest more than Facebook and/or Twitter; 12% said they log in the same amount, and only 11% log in to Pinterest more. 1 comment about "Pinterest Leads Consumers From Pin To Purchase". Linda VanAllen Evans from VanAllen & Associates, Inc., August 2, 2014 at 3:11 p.m.
How do I purchase from Pinterest. I want the "Danielle" fascinator and I need to know how to purchase.